No Short Corners: NY2 is dead. Long live NYCFC. NY2 is dead. Long live NYCFC. Sheik Mansour is watching you sleep. America's fifth professional sports league announced its 20th team Tuesday. Major League Soccer dropped a bombshell when it announced the New York Yankees and Manchester City Football Club will be joint partners in the founding of New York City Football Club, which will enter the league as an expansion franchise in 2015. I say fifth professional league because the hierarchy of pro sports in this country have been laid out that way since MLS was born in 1996. Traditionally the NFL and MLB have grappled for the country's position as our most followed sport, while the NBA and NHL come next, in that order. Eschewing world standards, MLS has always been locked in a game of catchup after joining the party late. Interest has been shifting toward soccer, albeit deliberately and without many overt leaps. With comparably sized stadiums, MLS surpassed the NBA and NHL in average game attendance last year for the first time in the soccer league's 17-year history. I don't know that anybody is ready to pronounce that Major League Soccer has a built-in brand equal to that of its American cousins yet, but to say it isn't making up ground fast would be to ignore the facts. But the league's big news Tuesday was a game-changer in the truest sense. MLS has been trying to plant a second franchise in New York ever since the New York/New Jersey Metrostars entered the league as one of the league's original 10 teams. That franchise was re-branded the New York Red Bulls when the energy drink corporation bought the team in 2006 and injected millions into one of the league's nouveau riche clubs. Work finished on a brilliant new stadium in 2010 – Red Bull Arena is undoubtedly one of the preeminent stadiums of its size in the world – but it was dropped in the sleepy suburb of Harrison, New Jersey. Travel to games for New York residents is a hassle at best, a reason to stay away from the arena at worst. It may bear the name, but the Red Bulls aren't really New York City's team, and they never really have been. The fact that they're still looking for their first trophy in any competition since their founding has not helped matters. The Red Bulls are currently one of the league's top two big spenders along with the Los Angeles Galaxy. Now, the balance of power is already beginning to shift in place. So this is big, big news for MLS for a number of reasons, none bigger than the dollar signs being fronted by NYCFC's prodigious backers. According to Forbes' 2012 list, the net worth of the Yankees and Manchester City put together is $2.5 billion. 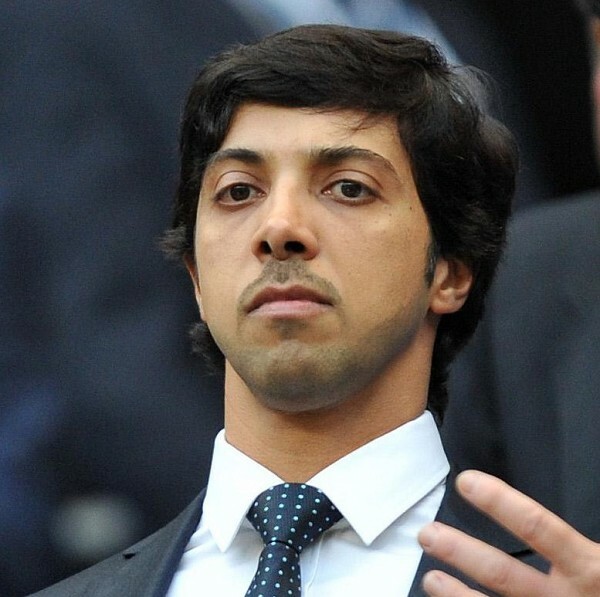 With a B.
Manchester City became one of the richest clubs in the world when Sheik Mansour's Abu Dhabi-based conglomerate bought the English club in 2008 and immediately plumped up the roster with hundreds of millions of dollars worth of world-class players. City were an also-ran in a city run by Manchester United before winning their first ever Premier League title in 2012. Imagine the Los Angeles Clippers suddenly coming into billions in cash reserves to surpass the Lakers and you get a sense of what we're talking here. Mansour is said to have a personal reservoir of $40 billion and access to family funds soaring past $750 billion. He has the closest thing to bottomless pockets as any sports owner in the world, and he just bought into American soccer as a majority owner of its newest top flight franchise. In a post-announcement conference call Tuesday, MLS commissioner Don Garber called it a “transformational moment” for MLS. Even that might be putting it mildly. The Yankees are the other part of the equation. City was always rumored to be in for a new MLS team, but the Yankees' inclusion was a surprise, kept under wraps until the final moments. The third-most valuable sports franchise in the world will act as a minority partner in the arrangement – they'll own about a fourth of the team – essentially tying this faceless world conglomerate with a very American visage. It's unsure as to what exactly this partnership will mean in a practical sense, but it's not hard to fathom. City will pony up $100 million to buy the team, and an opulent $300 million arena is expected to be around the corner. In the deal, City gets an ally versed in American franchise-building and one with hearty ties to the city of New York and its inner workings. With this much capital at its back, it's hard to imagine this deal being anything but a success. How immense of one is yet to be determined. Mansour's ownership team will run into a strict salary cap that limits big-money splashes to three exempt signings known as Designated Players. Instead of simply flouting money as they are able to do in England, franchise building in MLS requires shrewd scouting and good-value purchases too. It's a different world Stateside, but that might not be such a bad thing. New York is a global, cosmopolitan city. Soccer pubs adorn dozens of street corners and represent every slice of the world's soccer cake. New York has been crying out for a proper team within the city limits for nearly two decades. Now it has one. Let the games begin. Like your optimism, even if I don't share it. Will say this, though. The team has already earned my hatred without even taking the field. Haha Wilkerson, I concur. This sentiment is hardly unique online today, but it's not hard to instantly hate a joint venture of the Yankees and Man City. Nonetheless, I'm excited for this development. With this much capital at its back, it's hard to imagine this deal being anything but a success. Gotta find some fans, first. If I had to guess, I'd say about 0.5% of comments attached to the various articles today have been anything resembling 'positive'. Oh, neat. It looks like I have a new Least Favorite MLS team. No question this team just became emblematic of the MLS Deathstar. I seriously cannot wait to hate them. But I can also recognize why MLS could use the capital. Every league needs a good villain, and now we have one. I just hope they get the stadium right, or it won't matter.